Location: 4 946 km. east of Moscow, in the Irkutsk Region, 613 km. north of Irkutsk. The city emerged upon the construction of the Bratskaya damn and hydroelectric plant. The city consists of a couple of spread out residential developments and villages, located at considerable distances from one another. 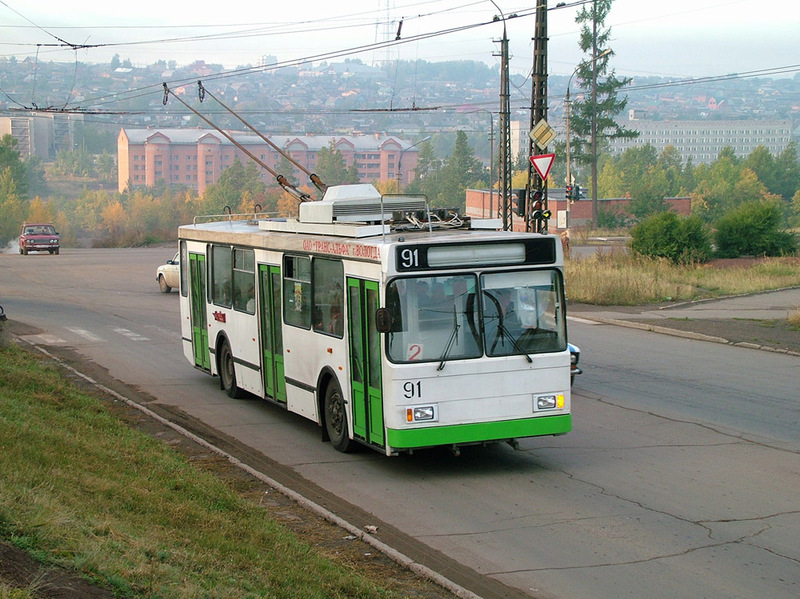 Trolleybuses operate within one residential development only – in the Tsentralniy Zhilrayon (the Central Residential Development), also known as Novobratsk (the New Bratsk). 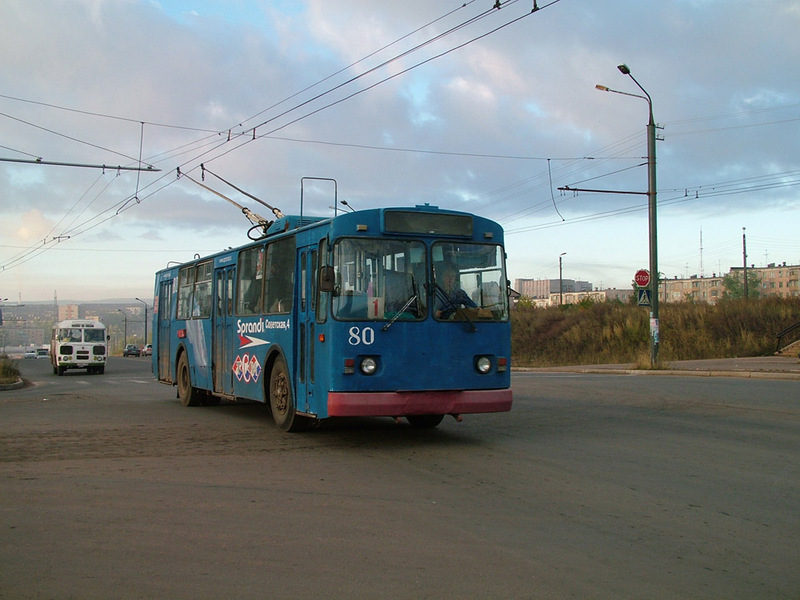 Upon the initial construction, the trolleybus system’s primary function was meant to transport workers to the Bratskiy Lumber Industrial Complex (BLPK) located 3 km. south of the residential development. As city’s economic priorities evolved, the system’s primary objective shifted toward serving the inner city. The overhead length: 44,1 km. Route 1y is a non-peak hour shirt-turn version of route 1. 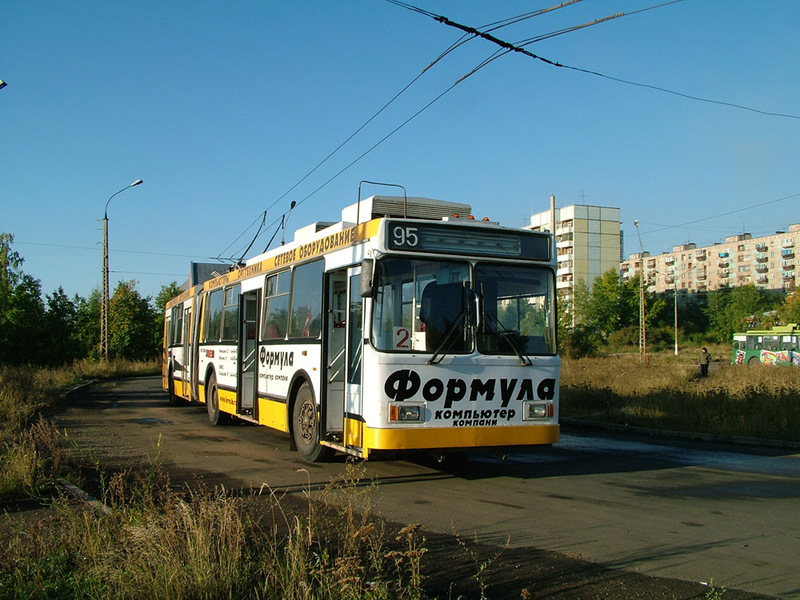 Routes 1x and 3x are chartered services, operated on request by the Khlorniy Zavod (the Chlorine Factory). 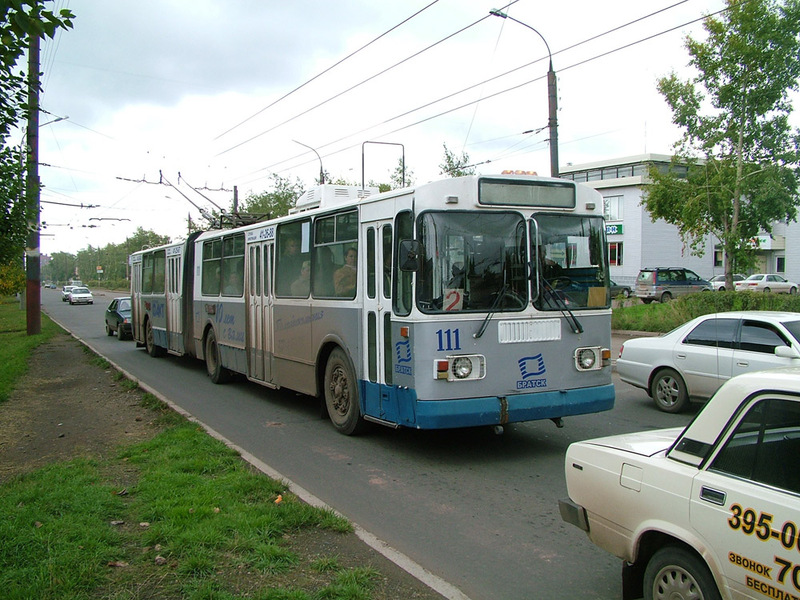 Trolleybus service is highly reliable and predictable. 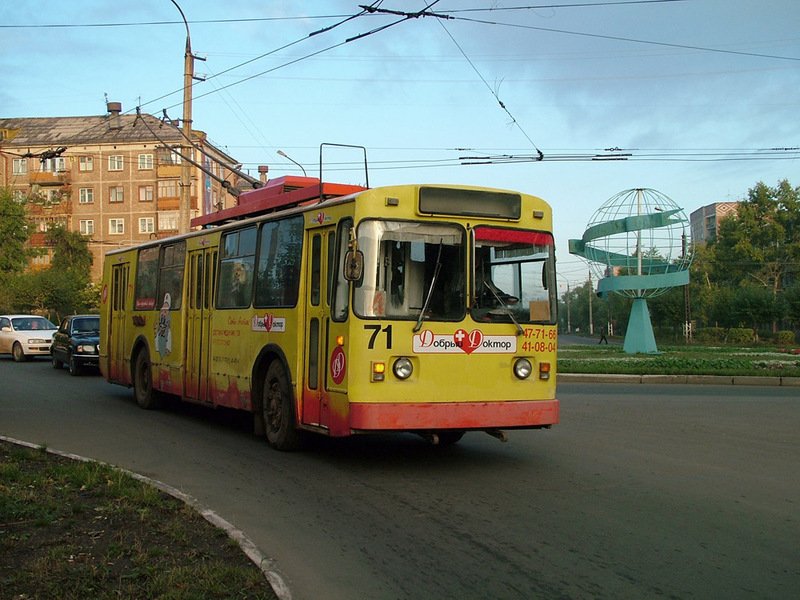 Most trolleybuses are being maintained in an exemplary working order. 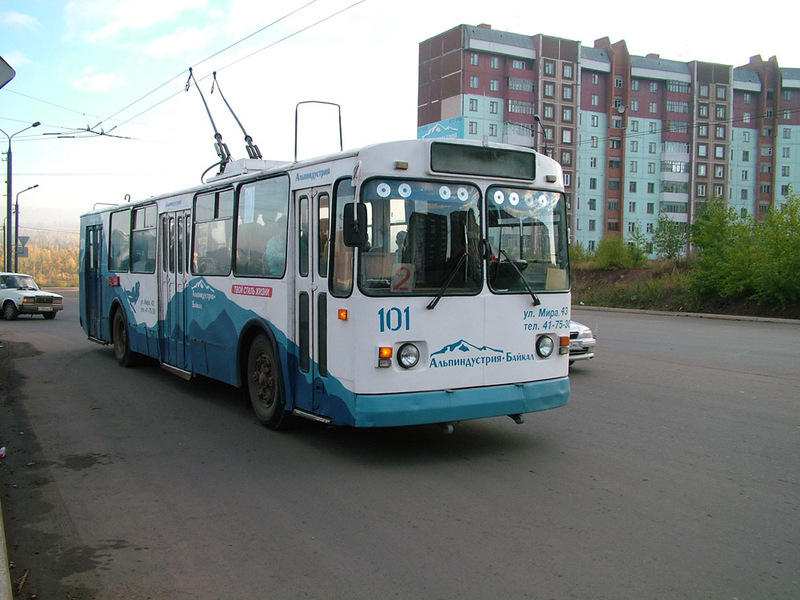 All trolleybuses are being maintained in an exemplary working order.